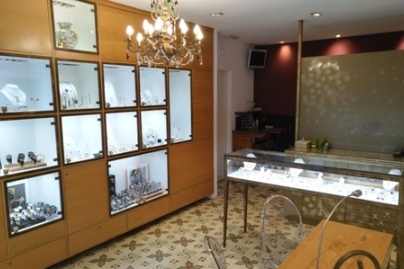 Xercavins joiers boasts more than 50 years of experience in sale and repair of jewellery and watches. We offer classic and design d’auteur jewels, keeping the maximum quality and elegance, as well as a wide selection of watch brands following the trends of the sector. Xercavins joiers manufactures its own collection by combining contemporary design with artisan tradition, offering unique and exclusive pieces. We have a large selection of wedding rings in different shapes, textures and metals which we can personalise to your liking. Likewise, we have wide expertise in repair and restoration of all kind of jewellery and watches. If you have any comments, do not hesitate to contact us.